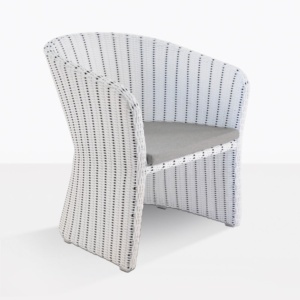 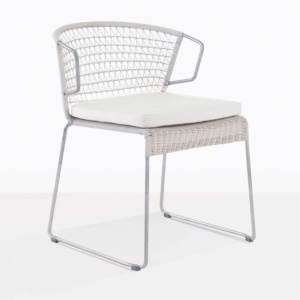 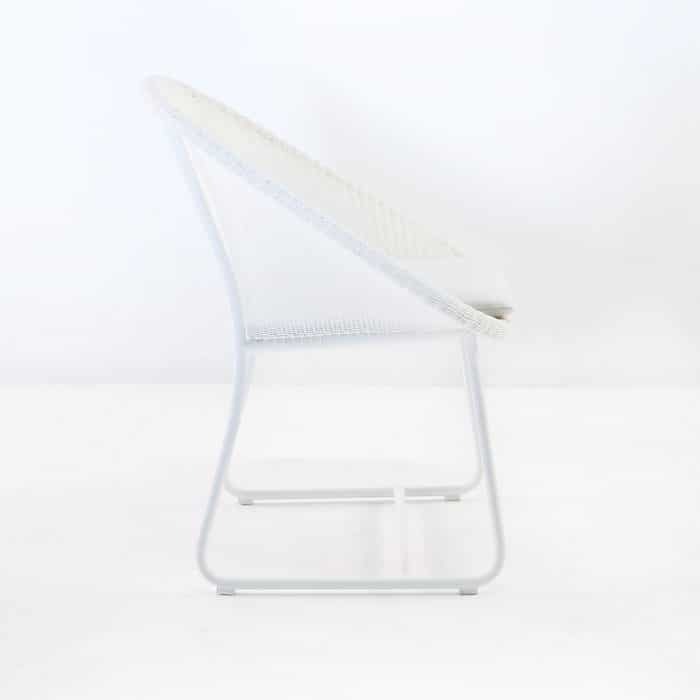 The Breeze Wicker Dining Arm Chair in White Ecolene® Synthetic Outdoor wicker is a strong and beautiful dining chair, with a bright white colour that you cannot find in other materials. The Extruded high quality synthetic wicker from Ecolene® offers gorgeous colours and is built for demanding outdoor conditions. 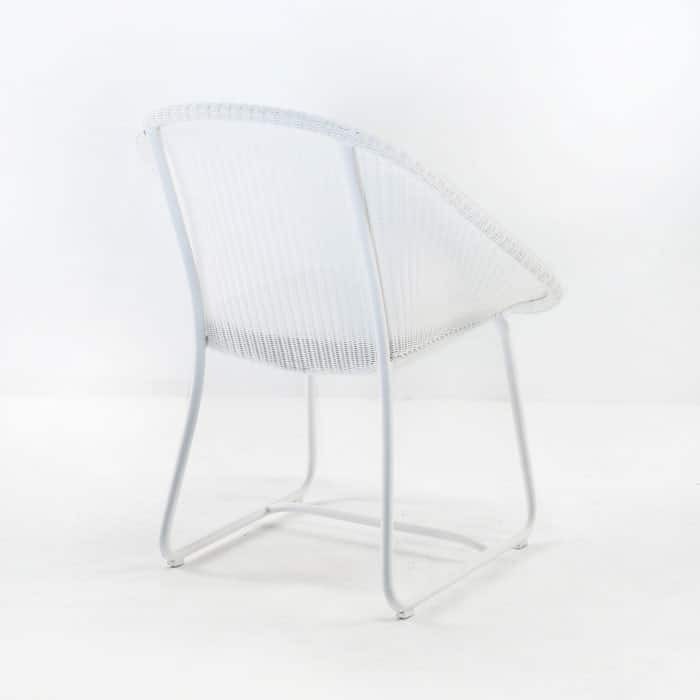 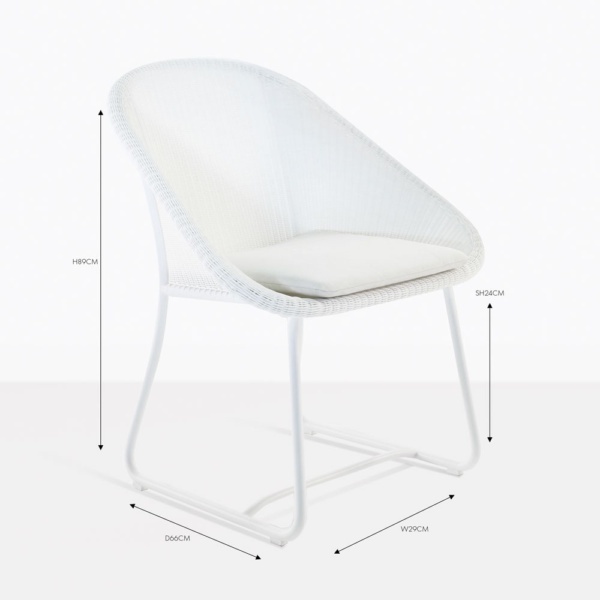 The powder-coated aluminium frame is white, giving a perfect flow from wicker to frame, allowing you to place this chair just about anywhere in the outdoor dining lexicon, from super formal to super casual, without missing a beat. 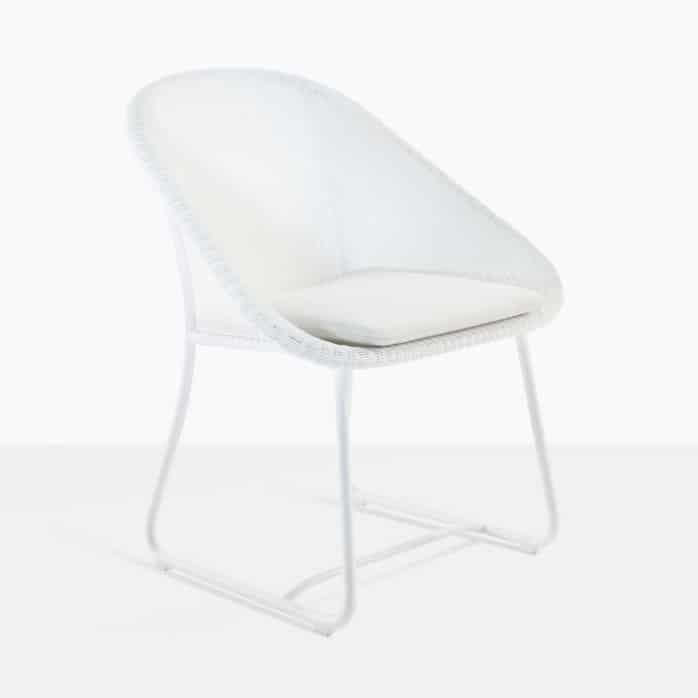 The durability and good looks combine with exceptional comfort to make this a perfect dining chair for just about every scenario.